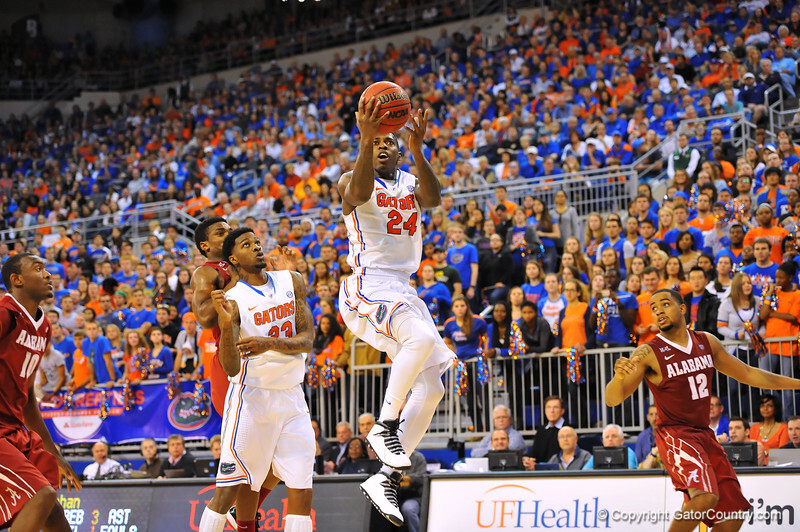 Florida forward Casey Prather flies through the air on his way to a lay up during the second half. Florida Gators vs Alabama Crimson Tide. Feb 8th, 2014. Gator Country photo by David Bowie.